“User ID” (1) is the account information of this PDA. You can change the user ID by click on the keyboard icon on the bottom (6). “Password” (2) needs to be the correct password for the user ID above. 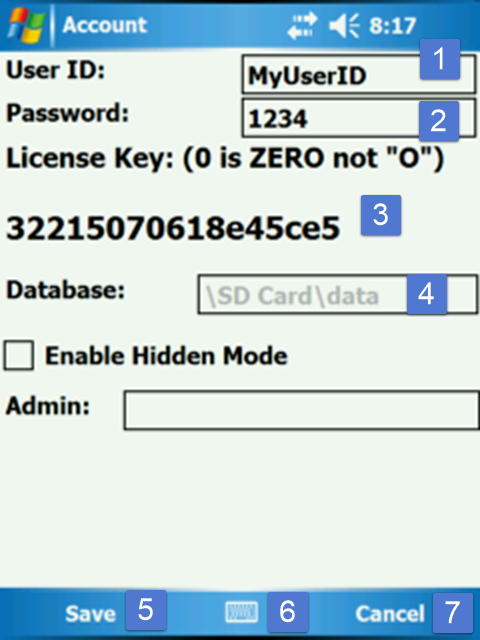 “Device ID/License Key” (3) is used to identify the specific PDA you are using. It is permanently set in a PDA, and cannot be changed. It is associated with your user ID. The database downloaded under your user ID can only be used on the associated PDA only, and can not be used on other PDA. “Database:” (4) displays database storage location. “Save” (5) You need to click on it to save any changes made to the Account screen. “Keyboard” (6) You need to click on it to display an onscreen keyboard to allow you to edit user ID or password. 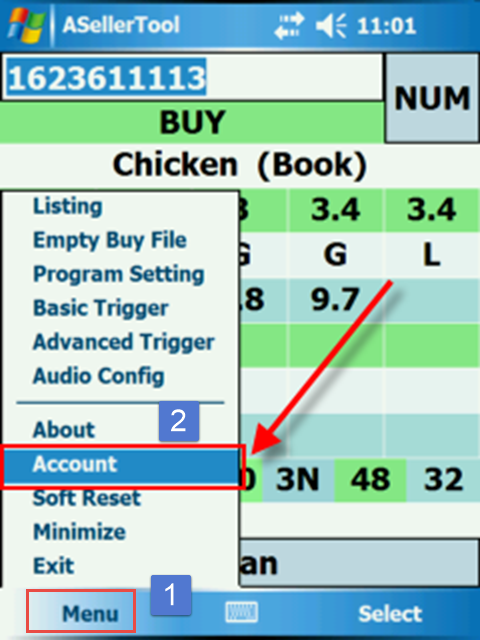 “Cancel” (7) Click on it to discard any changes made to the Account screen and return you to the program’s main screen.